There isn’t any “super secret” to SEO. That is the exact approach we used to 14x organic search traffic in today’s case study! This is an affiliate focused website that reviews weight loss supplements targeting the USA & United Kingdom. It sounds simple when you write it out like that right? Those are some pretty terrifying metrics. And those kind of results are common across this niche. Because many of the top 10 results are ranking purely out of domain authority rather than individual page level metrics. That means we have a solid chance of competing with the big boys. And I am sure you have seen results just like that in your niche right? When forming your SEO strategy, there is one thing to keep in mind. People tend to over complicate SEO. But of all of that is easier said than done right? I am going to step you through the core SEO strategy and precisely what we did. And it is the combination of these pieces that were responsible for 14x traffic in 8 months. They are completely obsessed with link building. But link building is just 1x component of a complete SEO strategy. How many links do you think we built to 14x traffic to this site? By addressing all of the moving parts of SEO rather than only focusing on the number of links we build. The first thing we do with any new client is conduct detailed keyword research. First we asked our client for a list of seed keywords that are important to them. We also paid close attention to search intent when selecting our final keywords. There’s 1x part of keyword research people usually miss. Whilst you’re doing keyword research, make sure to take a look at the SERPS for each one. Pay attention to the sites that popup and make a list of common competitors. We will be using that list to our advantage later in the case study! …I have a great keyword research tip for you. With this tip you’ll be able to find all of the low hanging easy to rank keywords in a couple of clicks. Targeting these keywords are a great starting point for any SEO strategy. I can not stress how important this stage is! It is absolutely critical for your success. Now we need to take a closer look at who our SERP competitors are. Do some searches and pay close attention to the first page of results. Just by looking at the results, you can get a good idea of the type of SEO elements, structure, intent and content you need to create. The power of observation is often under utilized in SEO. But you can see what kind of signals we’re looking at. Because Google have been using machine learning algorithms since 2015. And by looking at the search results we can see what the machine learning algorithm is expecting to see. Because this is the machine learning part that is automatically analyzing the efficiency of the results and tweaking the algorithm. What’s that got to do with competitors? The machine learning algorithm is telling us what types of things it expects to see. Do a search for your target keyword and look at the top 5 results. Then make a note of what you like and don’t like about each result. This will become the outline for each new piece of content. ..It’s time to figure out where we are starting from. To do that we conducted a comprehensive onsite audit that typically spans about 30 pages. The goal of this is to identify any issues that might hold it back from performing at its full potential. Site Structure – Are we using the best site structure to maximize link juice? PageSpeed – Does your site load quickly for Google and visitors? Index Management – Do you have unnecessary index bloat? Internal Redirects – Wasting crawl budget is bad for your site! Internal Linking – Very powerful but underused tool. Trust Signals – Are you sending the right signals to Google? This site had a range of problems that we needed to address. One of the main problems with the site was that it had almost no page speed optimisation. The site was loading very slowly in our tests. WP Rocket – to optimise pretty much everything, BUT images. ShortPixel – to optimise images. WordPress is a great platform to build a website. It can also make Google index a lot of rubbish. …you should consider pruning the site. If the remaining 45 pages are not useful for your users, get rid of them. Below are Yoast SEO settings I always use for taxonomies in a few simple steps. Be careful if you’re using custom post types in your WP, as you will have more than just the ones listed below! This feature had a few issues last year. You might want to choose “No” if you don’t use Post categories at all. When we conducted the technical SEO audit, we spotted a few problems with internal redirects. All of this was wasting significant crawl budget. It’s all pretty simple to fix! With HTTP -> HTTPS URLs, we just tracked all of them down and changed all http:// to https:// manually. Type your domain – this will ensure you are looking at your internal links only. This is what the URL is currently. We could fix a lot of the errors by updating hardcoded links in the menus and sidebars. But every site is different! Whilst conudcting the audit, we found a BIG issue with thin content. Over 50% of the website pages had under 500 words. …It was clear this is a content heavy niche. Google rewards fresh, long form content that addresses user intent. So we adjusted our content strategy to support the main campaign goal. We increased the length of the homepage from 1,500 words to 10,911 words by answering over 20 of the most popular questions around the main affiliate product. We increased the average word count per page from ~500 words to 2,216 words per page. All of which worked in harmony with each other to pull the sites pages up the search rankings. It’s important to create a healthy website architecture. The website should follow a logical structure with a clear with your core pages located within 3x clicks from the homepage. We can check this easily in Screaming Frog using the Crawl Depth report. But what are we looking for here? So with the case study site in mind, we overhauled the site structure so everything was within 3x clicks of the homepage. A lot of people don’t pay attention to site structure. Building a healthy site structure from day #1 is critical to your growth. …It’s time to get your hands dirty with content! You should start crafting the content as soon as possible because this is often a bottleneck for many businesses. …we made sure that all new pieces of content were at least 2,500 words. We continued to produce 2x new pieces of content per month throughout the campaign. We needed to help Google navigate the website easier to discover all the pages we updated/created. The goal of our internal link building strategy was to distribute link value throughout the site, from pages with authority to others with less authority. This meant we could cross link key pages across the site structure automatically. Backlinks are the most important ranking factor in Google. But that is amplified 10x when you have built a good site structure backed with solid content. With all of that in place we started to build the overall domain authority using links from relevant websites in the fitness, health and lifestyle niche. First we scraped a huge list of relevant websites with SEO value, traffic & authority. Then we published high quality content targeted at their audience to secure a backlink where possible. That was all backed up by some high quality TRULY private blog network links. PRO TIP: Don’t be scared by private blog networks, learn how to embrace them. We didn’t do anything beyond that. And that’s all we did. In month 7+ we didn’t build any additional links to the site. Once the site started to rank it was picking up links naturally and rankings have continued to improve. Do You Struggle With Link Building? The site has had 8x months of amazing growth. Traffic has grown from 2,732 visitors per month to 38,420. That increased domain authority also increased keyword visibility. There are now 637x keywords in the top 3 positions! With a number of other high volume search keywords breaking into the top 10. Especially in such a competitive niche (more on that soon). How to 14x search traffic in 8x months. Click here to have my team do all the hard work for you. If you have any questions about the case study, please ask below! Lovely case study, Matt! More and more we’re turning to Ahrefs above other options for their Top Pages by % data and organic keywords data for initial pitches and strategy – just makes sense! Lots of other gems here also. Yes their data is second to none right now! This one is a good article for new users and I really loved it. No worries, happy to help Akash. Great insight articles. I agreed with your all points you mentioned in article. I definitely try this and audit again all website. The first thing I suspect you had here was client commitment. Which is vital. But 8 months work and at what cost to the client for the service you delivered? And much did their turnover go up by if you are able to share that..
WOW! Thanks for the amazing case study matt. I will definitely apply this to my SEO strategy. By the way, how does the keyword shitter work? I can’t seem to understand it. Just enter a seed keyword and hit go! Great post, most seo professional start with link building , amazing and thanks for sharing. Awesome blog thanks for sharing your case study. I read also 12x link building way. And share continues with me. 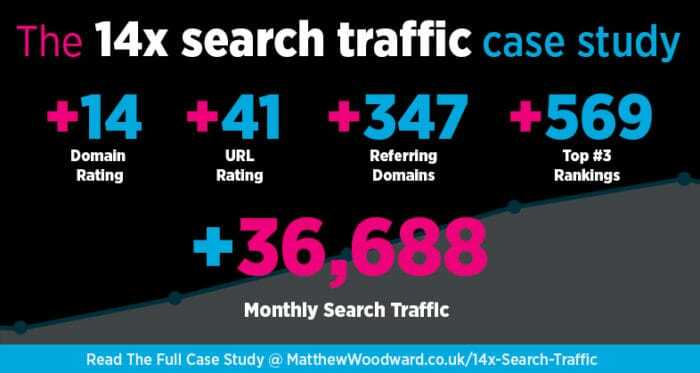 This case study is amazing, I see so many search engine experts overlook the basics, proper on-page SEO and structure can dramatically improve any link building stratehy. it’s a great for a starter blueprint process to follow. No problem Brad glad you enjoyed it! Impressive case study! Matt. But I would like to ask. Are your sure that PBN Links won’t hurt the ranking of the site in future? I see there are a lot of SEO pros here can you give me in depth input on which keywords to use on this site valuecarepharmacy.net specializing in providing free prescriptions to personal injury clients. It is a unique situation since we are not attorneys but looking for the same clientele. Thank you in advance. HI Matthew. Love your work. In regards to the PBN links, what was the spread ie Links to money pages, links to root domain? Wow!! moving the page length from 1500 to over 10,000 words for the homepage actually did the trick but I believe it’s the question and answer method that was applied that ranked the homepage for more traffic. There were obviously search intent keywords that were put out to play here and the first few hundred visitors clicking on the link from the search results were spending more time reading through the content than longer than the time that were spent on the pages that ranked above for those keywords they were ranking for previous to the homepage update. Yes this helps a lot and I’ve seen similar results on the blog where I have added Q&A style content. Perhaps where we could have improved is to embed to the new Q&A structured markup data but perhaps we will do that in the future as I’m yet to experiment with it personally. Amazing case study! It also proves that PBN really works if done right. Question: the new content that was created was what kind of content? Was it reviews? supporting content to the affiliate offers? What would the results have looked like without the PBN links do you figure? Same results but longer time to get there or no way to get that traffic increase? In the niche we are competing in, there are 2x types of competitor. If we hadn’t have used PBN’s in this instance, we would be eating dust. What we could have done is to use guest posts instead of PBN’s – but given that 90% of guest posting is now paid for (and more expensive) there isn’t any difference between a PBN link and a guest post any more. Impressive case study matthew: Can you tell us how to do best outreach to make sure we get publish our contemt on the sites. Cheap way to do this.? Matt, any chance you can link to the spreadsheet from the keyword tracking section? Seems proprietary but thought I’d ask anyway incredible piece. Going to try this myself! Superb case study! Thanks Matt. Think you could dig a little deeper on the link building portion? There’s a couple of points that could have been clarified a little better. 1. Of the links you built, how many went to your money page, and how many went to supporting pages / blog posts? 2. Did you reserve the big gunz (pbns) for your target page using variations of money keywords, or did you also use them going to your inner pages? – I’d assume it wiser to use pbn’s to move the needle for your money page with some keyword anchors rather than waste that power on inner pages. Was easy reading for 1 AM, cheers Matt. When it comes to redirects, How would you approach a product page where the product is sold out and the business has no intent on replenishing stocks? With no intent of replenishing stock, if the page has traffic/backlinks – redirect to a relevant category page. You are making all of the right moves, please keep me updated on how you progress! Hi Matt and great post as always. Just a quick one about Screaming Frog. I never used it before and tried the visualisations tab which is a handy feature. In your screenshot you highlighted “Crawl Tree Graph” and it looks like the screenshots below are from “Force Directed Crawl Diagram” if I am not mistaken? Oooops my bad! Good spot! So when you update content, do you just add content (update) or you change its publish date also. 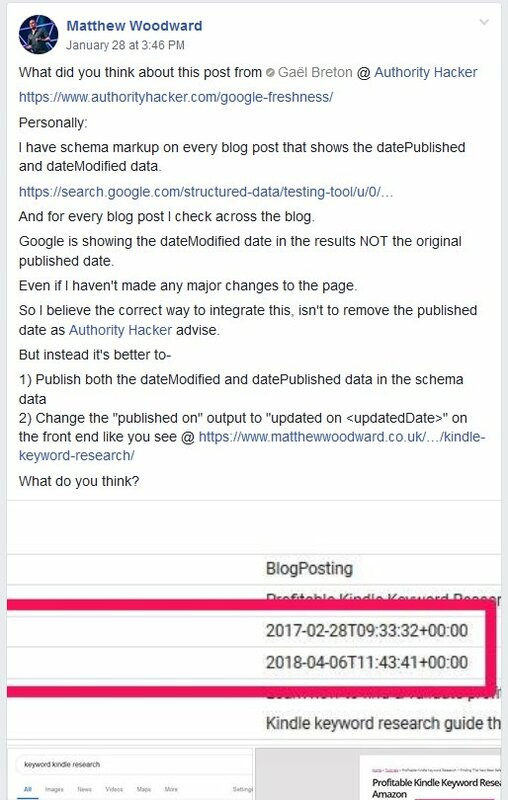 One SEO suggest to change publish date to current date if I am changing / updating more than 50% content of that page. Hope you have picked up some good SEO tips to implement. You are doing Great Work. I like the way you write and always follow your valuable tips in my daily life. Great article Matthew, A few questions regarding keyword selection and site structure. How do you determine what theme and category keywords to use when it comes to site structure? The article didn’t really make that clear. Fantastic news – glad you were able to get the info you needed Deepak! Hello, Matthew. With regard to adding text to the homepage and pages, is there a plugin to do this to make it look aesthetically good and not sloppy? In categories is it also recommended to add text to help SEO? Congratulations on this brilliant article. great case study Matt. I put in a request for you to check out my site and tell me the cost to rank. But as usual you provided awesome information about the case study. Thanks Steve my team will get back to you asap! The content of this blog is really useful and very much informatic.Thanks for sharing this content with us . Carry on posting such blogs which will be helpful to the public. I certainly will do, as they say… watch this space. Hi dear sir. Sir i know many Seo tools but i do not have experience in SEO. What should i do? Learn the basics then get stuck in. Great bump in DR. How did you make that happen? I’ve been stuck in the DR mid-40s for a couple of years. Not obsessed with DR but it’s a fun numbers game. What were the DRs or URs of the links from your PBNs to your site? What were the URs of the guest posts you secured? Do they all point to the homepage, internal pages or a mix? Amazing case study for search traffic. Hey Lisa, thanks! I hope you have a lot of future success with this article for reference. No worries Harimanti. Hope this article helps improve your search traffic. How much of that traffic comes from the homepage vs internal pages? If it’s ranking for 11,200 keywords. Wouldn’t the bulk of the website traffic be coming from this single page? quick question (and valuable for others as well). Have you noticed that leaving comments open benefits SEO for that particular post/site? Why wouldnt you have comments enabled? THANKS FOR SHARING THE ARTICLES AND AWESOME ARTICLES ON INTERNET. it’s interesting how many time PBN showed up in your Link Building Strategy for your client. that is very different from what other people are saying about PBN’s. If executed correctly PBN’s can be extremely powerful! Hi Matthew, Great post! I’ve already gone through and deleted some thin content pages from my own blog as well as purchased WP Rocket. Can’t believe how much faster my site is! Can you tell us what ratio you used for homeage vs. internal pages when building the PBN links? Thanks. No problem! Hope there were some valuable tactics you can action on your site. Great case study. To build domain authority, did you send links to the homepage only or did you send links to inner pages too? Really effective strategies. What a drastically change in traffic with health niche. This can only be done by you. So inspirational. Thanks for sharing. Love to rea d this whole blog post!! It looks super awesome and I now super excited to implement on my site. Let me know how you get on Indra! Thanks this is brilliant and I can’t believe you are giving it out free! I struggle to rank my online magazine as each page is about something different. Beauty, fashion, interiors, health…..
My suggestion would be content + links! I like to try all of this method except increased the length of the homepage from 1,500 words to 10,911 words. I rather do yoga with one leg stand. it’s really helpful for website SEO. very nice content full of information thank you for sharing……..
No worries, I have plenty in the pipeline for you. Cheers! Any new content suggestions? Thanks. I started my Educational blog but I don’t understand what to do next. Some of my friends told me that You should buy some quality backlinks from Fiver. Should I buy Backlinks? Is it ok to buy backlinks? I don’t understand what to do Next. Thank you so much for posting this. I will probably have to read it a few more times to really absorb all the content that’s in there. I am fairly new to the field of SEO (been trying to improve the ranking of my business website) and posts like this help me very much. Case studies are especially great as they don’t just show generic advice – but show what the advice delivers! I just recently found your blog will will definitely keep following it, and learning a lot! SEO is very important for us. It’s necessary to create Blog Traffic which is very help full for improving the performance. SEO is very important for us.above article gives us an information regarding how we use SEO in efficient way. well done keep it up. Getting organic traffic for a new website is a real challenge for a newbie and I have been realizing it well. Hopefully, this strategy will help me to get more free organic search traffic. By the way, I have been waiting to see more SEO related article to learn something new from you. Thank you for your complement. No problem Harimanti! Hopefully you can apply what you have learnt into your own SEO. SEO is very important for blogging.Especially thanks for this great article, because I have learn lot of thing from this article regarding SEO. Awesome news! Glad you have learnt a lot about SEO – now you just gotta put it into practice. Awesome news! Let me know how it goes. Very useful information for SEO beginners. Hey David. You’re very welcome, hope you picked up a few tips. Thanks for the article, the information provided will surely help me in my SEO. I like your article and I will apply all the strategies to my blog. Let see blog traffic will be increased or not. Awesome, cheers! Hope it proves helpful! Happy to…. hope these tactics prove useful to you. Glad to hear it Tarun! Great work! Thanks for sharing this information. No problem Clark, keep hustling! This post must to be read , really amazing to say , every problem is detailed explained with solution hats-off ! Thanks for your comment! Hope my blog continues to be of use to you! Thanks very much Nitish! Hope you picked up a few tips! Thanks Soni! Hope you can use these tactics to improve your traffic too. This one is amazing work to boost my traffic. I am following these tips. Thanks for sharing. Great work. Thanks for sharing Nice info. No worries, hope it helps increase your search traffic! Thanks for sharing your case study with us and learn us the things practically. I am learning SEO, It helped me a lot to learn some new idea and tactics. Happy to help, keep it up! Great work! There is definitely a lot of work put into this. I look forward to exploring! This is beautiful, I wish I had this when I got started in the SEO game. Thanks Adesh! Hope things turn in your favour. One of the best article on gaining traffic and that to 14x times and shared information are so genuine. I have no words to say how great you are. You are guiding hundreds of aspiring blogger in right direction. Keep it up sir. If you have youtube channel then please let me know. Thanks. Wow. Awesome Case study Matteew. surely I will implement your advise in my next projects. Thanks for the share and I’m glad you found the case study useful! Hope you can use it to your advantage! Great news, exactly what it was intended for! The message is, your attitude shapes your life. Haha, yes it certainly has a massive part to play! Cheers Kapil, hope you picked up some useful tips. Hope it helps to give your traffic a boost! Wow Matt, this case study is amazing. So much value. I like that you insist on simplifying SEO. Just technical SEO, content and links. Also, I like the tip of using Ahrefs to find keywords ranking on the positions 11-30. I didn’t know Ahrefs can do that, and it’s similar to using GSC to find high impression; low CTR keywords. Thanks Nikola, sounds like you really good some good tips from the case study! Let me know how you get on implementing them. Happy I could help! Glad it was so useful! Wow! It is awesome article. No worries Abhishek! Hope you picked out some actionable tips. wow It is awesome article. Thanks Fahim! Hope you put these tips to good use! Hi matthew, this is a very nice case study, will surely try this. Best knowledge sharing post. It is helpful. Thank you for the post shared with us. Glad you found the case study helpful! Thanks for sharing a information about search traffic to website. Hope you picked up some good tips from the case study. No probs, happy I could help! Thank for good article write and published. Read the article and you’ll get plenty of advice. They sure are, thanks Shins! No problem, hope it’s helpful! This article is great. I agree with the information you provide in the article. Thanks for sharing this post. No worries, hopefully you can recreate some of this case studies success! this is very qualitative content, thanks for sharing and keep . Glad you think so Jay! Hope the SEO tactics prove useful to you! This is so technical and useful information for everyone. Really thanks for this. Glad I could help Nikhil! Thanks so much, always good to show tactics in action! ohh..my god… thats amazing.. thanks matthew.. i am a regular follower of your SEO strategies.. you have explained here in a great way.. hope this will help me for my new site.. Thank you very much, hope you got some actionable tips out of it! Thanks for this great article. Tho this is my first time writing an article on my blog and got it index in three days then appears on page 6 on google now the website is now on page 4 on a particle keyword, still building links. I hope to get it to page one. Thanks once again for all of your great articles.